New Yorkers will be introduced to “premium nosebleed” seats at Madison Square Garden starting in 2013-14 after an $850-million transformation project. Yes, starting in a few seasons there will be front row seats, decent middle seats, nosebleeds and…”premium” nosebleeds. 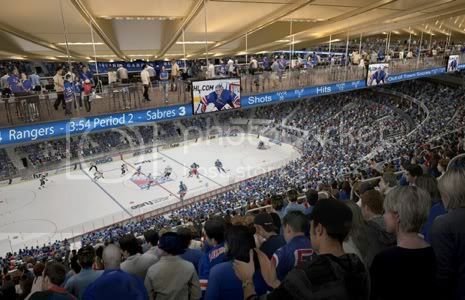 Those seats will be in the form of two sky bridges that’ll be built five stories above the ice – part of a project that’ll see MSG build an entirely new arena inside the shell of the famous building, says the NY Post. Some of the other additions to the arena will be a redone upper bowl with the incline being increased to give fans a better view, and some suites under the playing surface which were reportedly sold for upwards of $1-million. It’s interesting to see what other cities are doing with their old rinks when we’re going through a debate of what to do here in Edmonton – build a new rink or stay with what we’ve got. The idea of just rebuilding the entire rink from the inside out is kind of cool, except that I think we’re looking for a little bit more room in a new building here, not to mention all of the “entertainment complex” additions. Speaking of the Oilers, TSN reports that former Oil owner Peter Pocklington is offering up two of his Stanley Cup rings as part of a plea deal in a bankruptcy fraud case. Reports say he’ll also give up some artwork and pay the US taxes he owes in exchange for probation and six months of house arrest (he could have faced 10 years in prison). 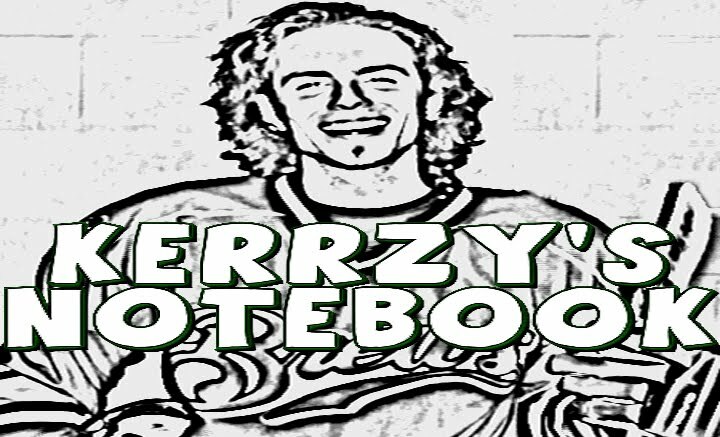 He should have offered up Wayne Gretzky too!